Grand Rapids, Mich. — Researchers studying prey fish populations in Lake Michigan have found that alewife populations continue to be at low ebb and may dip further before the 2014 fishing season is over. Surveys conducted last August by state and federal agencies found little change from 2012, when prey fish numbers were reported at all-time lows. “Things haven’t changed much. There continues to be a relatively limited age range, and we don’t have any that are over age five,” said Dave Warner, a fisheries research biologist with the U.S. Geological Survey. His crew, along with those from Michigan’s DNR and the U.S. Fish and Wildlife Service, conducted acoustic and mid-depth netting surveys on Lake Michigan. What was found was a “very low abundance” of new alewives, referred to as “age zero,” while the volume of older fish was comparable to 2012. 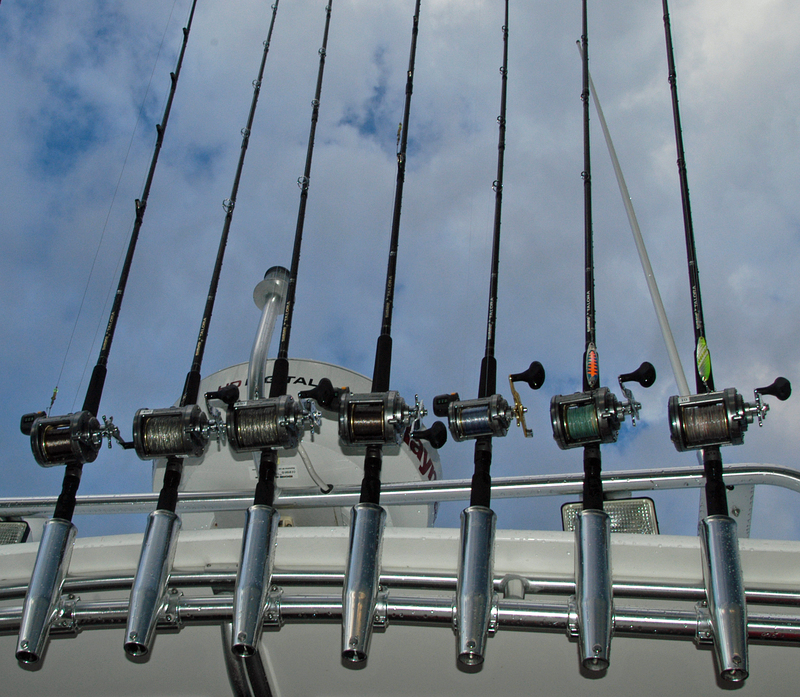 State fisheries managers plan to monitor anglers’ catches this year. Michigan and other Lake Michigan states cut chinook stocking by 50 percent in 2013 to conserve alewives. They hoped to avoid a salmon population collapse like the one in Lake Huron in 2003-04. “Right now we have a pretty typical spread of salmon year-classes out in the lake,” said Jay Wesley, the southern Lake Michigan fisheries supervisor for the DNR. “There are mostly 2- and 3-year-olds, and that is what people catch. Any effect from the stocking cut won’t be seen until 2015, according to Wesley. Meanwhile, Michigan will stock 559,000 chinook salmon come May. Anglers will be able to catch and keep five salmon per day during the 2014 fishing season. Warner said the August surveys found 29.6 kilotons of prey fish in Lake Michigan. Most all of it was alewives. Bloater chub and smelt numbers were down from previous years. Young-of-the-year alewives, the age zero fish, also were not as prevalent. WHERE ARE THE OLDER ALEWIVES? Why the alewives congregate in certain areas of the lake is an unknown at this time. Where they school appears to vary from year to year. More research is planned to examine those patterns. Salmon may congregate where alewife populations are heaviest, but that may be little help for anglers. Salmon are less likely to bite if they are filled up with alewives, according to Warner. Wesley agrees. He expects anglers will catch more salmon than last year, but the fish are likely to be smaller. This entry was posted in Uncategorized and tagged Alewives, Fishing, Lake Michigan, Michigan Department of Natural Rsources, Salmon, U.S. Fish & Wildlife Service, U.S. Geological Survey. Bookmark the permalink.